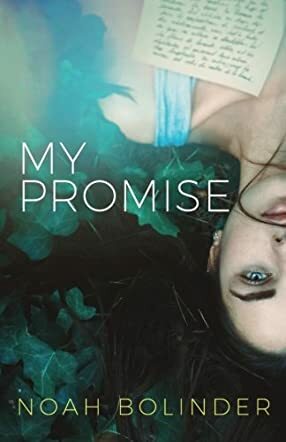 At first glance, My Promise by Noah Bolinder appears to be another romantic story; however, that presumption changes very quickly. Fiona Grace Kelly lived in Philadelphia, fell in love with a boy there, and found herself happy in every possible way. But when her boyfriend dumped her suddenly, she found it impossible to move on. So, when an envelope appeared in her life almost magically with a very direct message to join a college in Canada, she chose to follow the path against all practical reason. The college turned out to be everything she had imagined it to be and more. Everything seemed almost perfect on the surface, but she could not comprehend how several strange packages and/or things were appearing in her apartment every now and then. On top of this, there was one very mysterious course that she had enrolled for in college. There was no curriculum defined for this course and the students were made to sign an agreement that they would not miss any class ever. To add to the mystery, they would need to address their teacher as the professor, since he did not give a name. The class that remains the focal point of the rest of the plot is so intriguing that it demands a reader's undivided attention. This is not a casual reading book. The philosophy is deep and thought-provoking. The discussion of Disney movies along with other popular movies is a clever trick by the author to hold the reader's interest and still keep the whole subject matter cohesive. I have watched Disney movies -- Cinderella, Snow White, Sleeping Beauty -- so many times that I've lost count. However, after reading the perceptive and in-depth analysis by the author, I would love to watch these again with a whole new outlook. This book pushes readers to see beyond what's in front of them; to open their eyes and really see. It encourages readers not to let the negativity of the world kill their goodness. Although at times the philosophy part actually got very deep for me, I thoroughly enjoyed the elaborate study of some of the most famous art works. My Promise by Noah Bolinder is a perfect amalgamation of philosophy and romantic fiction. The biblical study is quite profound and educational without being boring. I would recommend this to readers who enjoy fiction that imparts valuable wisdom in a plot packed with suspense.